Bank lockboxes are a unique method of customer payment collection. It is a process that starts with setting up a lockbox address at your bank of choice. When a customer needs to send a payment, they do so via your lockbox. A bank employee then deposits the payment into your account and sends you a report of the checks received Since these are held at a local branch, you can not use this with a virtual bank account in the US. It is a fast and efficient process that benefits your business as long as the pros outweigh the cons. If are interested in utilizing a lockbox for your business, consider the advantages and disadvantages listed below. Here are the pros and cons of using a bank lockbox. This type of banking using a lockbox is provided by many banks and does not require the use of a courier service. It is used by businesses as a method of receiving customer payments. Using lockboxes, customer payments go to a special lockbox instead of the company directly. Then, a company employee much go to the lockbox and retrieve the payment in order to process the funds. Now that you have a better idea of how lockbox banking works, let’s take a look at the advantages and disadvantages associated with it. The main advantage a bank lockbox provides is that it speeds up your payment processing time and simplifies your invoice system. Traditionally, a check needs to be matched to an invoice and recorded in the system before being sent to a bank for further processing. With a lockbox, your payments get sent directly to your bank. Then, it is deposited into your account. Your employees can post these payments as soon as they get a deposit report, which usually happens immediately. Having quick access to your money is one of the main advantages of using a bank lockbox. Bank lockboxes cost money to use, which is a definite disadvantage. Most banks enforce a fee per-payment. This means that you will have to pay a small fee each time you receive a payment. The effect this will have on your business depends on the size and volume of your business. If you collect numerous small payments per day, the fees will quickly outweigh the benefits. If you deal with large payments however, you may benefit from the interest earned from having your payment in your account two or three days earlier. Conduct plenty of research of other customers to determine whether bank lockbox costs will have a large impact on your finances. Along with faster processing speeds, a bank lockbox can reduce the time it takes for customers to send payments. If your business is headquartered in California and your customer sends a payment from New York, it may take an unreasonable amount of time to accept. To counteract this, you can set up lockboxes in areas around the country. Setting one up in New York would reduce your wait time by several days. In addition, you will not have to worry about mounting a security camera to protect the funds, as banks already have them installed. Companies with multiple branches can benefit as well. They can set up lockboxes at each of their locations and cut overall mailing times in half. Bank lockboxes provide huge advantages for businesses looking to reduce payment mailing times. Unfortunately, a bank lockbox is only as secure as the employees that handle it. Disreputable employees may be suspectible to bribery or illicit acts. For instance, one such case involved $11 million having been stolen from a bank lockbox. Office security is especially unreliable in rural areas, where they lack the automation necessary to track employee activities. If you choose to accept payments through a bank lockbox, you should be aware of the security risk involved and have proper business automation installed. Bank lockboxes are a payment collection system that carries many pros and cons. They reduce processing speeds and give you access to your money immediately. However, they cost money to use and are susceptible to security risks. 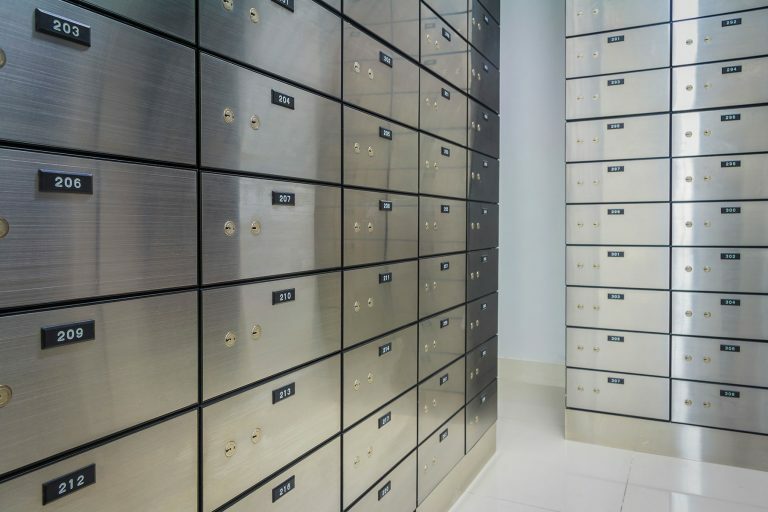 Check the pros and cons laid out in this post and consider whether a bank lockbox is ideal for your business.